FUA Alumni Dinner Closes Off TuttoToscana 2017. 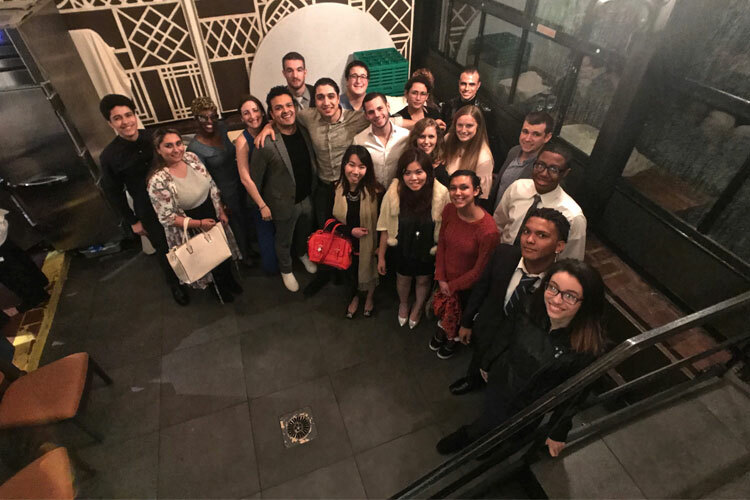 Traveling from as far away as California, to as close by as downtown Manhattan, FUA alumni reunited with old classmates to share memories, network and celebrate all things Tuscan! The rainy weather did little to dampen the high spirits of former students from various academic and professional backgrounds who are all connected by the FUA experience. 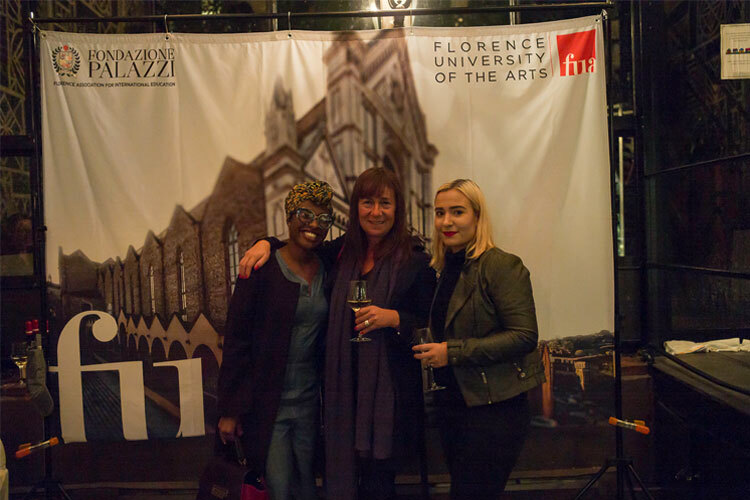 The evening’s menu echoed the 2017 TuttoToscana theme, Fragments of Tuscany, and contained whimsical descriptions of the dishes written by the current FUA creative writing students. Featured wines for the evening included a Vernaccia DOCG 2016 and a Chianti Colli Senesi DOCG 2015, both from the La Lastra winery. Organized by the FUA Alumni Association, proceeds from the ticket sales will go towards funding a scholarship in memory of Apicius alumnus Cody Durbin. Each attendee received one raffle ticket with the option to purchase additional tickets by giving a donation to the scholarship. The prizes were very interesting this year. First prize was a wine tour for two with Apicius Friends wine producer, guided by an Apicius wine professor. Second prize included a Florence City wine tour for two, guided by an Apicius wine professor. The third prize consisted of a dinner for two at a local Florentine restaurant. The event was also an opportunity to unveil the FUA Alumni Ambassador Program, which will launch in 2018. The Ambassador Program will draw upon interested alumni to serve as mentors to prospective and current students, act as a point of reference for Alumni peer-networking, support FUA staff in promoting FUA programs and events, and provide feedback and suggestions to the On-Campus Alumni Coordinator in Florence. As we checked-in our alums at the entrance, gave them their raffle tickets for the evening, invited them to sign the memory book, and directed them to the reception area, we heard story after story about how the FUA experience impacted their lives. These stories of the transformational FUA experience are waiting to be shared with a whole new generation of students, so they too can become a part of the rich tapestry that is the FUA family. This entry was posted on Tuesday, November 7th, 2017 at 9:15 am. It is filed under TuttoToscana - James Beard Foundation and tagged with fragments of tuscany, FUA alumni, NYC, TuttoToscana. You can follow any responses to this entry through the RSS 2.0 feed.